Compare Prices of Laptops from Leading Online Stores in Nigeria. 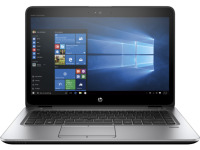 Best Prices for Notebooks, Ultrabooks, Sleekbooks, 2-in-1 Laptops, Macbook Pro, Macbook Air Laptops from Top Brands like HP, Dell, Apple, Acer, ASUS, Toshiba, and more. You can make use of the filters to focus the best laptop for your budget. There is a filter for price range, which you can use to select laptops that are within your price range. Laptop Performance often depends on RAM and Processors. The more the on-board RAM and the higher the processing power the more powerful and versatile the laptop will be. Of course, higher the performance the higher the price. Intel Core i7 are the best grade processor class, followed by the Core i5, Core i3, Pentium, etc. Intel Core M are for fanless and portable laptops. You can also filter laptops by Brand, screen size, operating system, screen resolution, and built-in storage. You can also search laptops by usage. For example, are you looking for the best prices for gaming laptops or best prices for student laptops, or do you just need a laptop for business, you can filter at that level.